The elbow is a hinge type joint found between the end of the humerus in the upper arm and the nearest ends of the ulna and radius in the forearm. The elbow functions by allowing flexion and extension of the arm, as well as functioning to rotate the forearm and wrist. Because the elbow is an origin and insertion point for several muscles, it's not uncommon to in injury. Below are 5 common causes for elbow pain. The first of the 5 common causes for elbow pain is best known as tennis elbow. Medically referred to as lateral epicondylitis, tennis elbow is a sport-related injury where the sides of the elbow become swollen and inflamed. This type of injury is caused by overuse from repetitive movements of the arm, forearm, and wrist during sports such as tennis, badminton, and golf. The irritation and stress exerted during these physical activities begins to cause irritation to the muscles surrounding the elbows and may over time result in small tears of the tendons. The common symptoms of tennis elbow include pain and soreness surrounding the elbow, followed by limited flexibility or restricted mobility of the arm. Cubital tunnel syndrome occurs when the ulnar nerve suffers an impingement as it passes through the inside, back portion of the elbow. Due to its location, the ulnar nerve is not surrounded by muscle to cushion it from other tissue and can sometimes become trapped in a tunnel between the bone and the skin of the elbow, called the cubital tunnel. Cubital tunnel syndrome can develop gradually over time through impingement of the ulnar nerve for extended periods of time. Symptoms include decreased and tingling sensations extending from the elbow down to the forearm and hand. More serious cases of the condition may cause difficulty gripping and holding on to objects. Elbow bursitis, also known as olecranon bursitis, is a condition where fluid begins to collect in the sac found behind the elbow, called the olecranon bursa. The role of the bursa is to allow the joints to move smoothly around bones but trauma from an accident, such as falling on the back of the elbow, or resting the elbows against hard surfaces for long periods of time, can begin to irritate the olecranon bursa and eventually develop into bursitis. The symptoms of elbow bursitis include inflammation and swelling together with pain around the posterior side of the elbow which can restrict mobility and affect the range of motion of the elbow. The ulnar collateral ligament, or UCL, is the most commonly injured ligament in athletes of throwing sports, such as baseball. The UCL is located on the inside of the elbow, running from the inner side of the humerus to the inner side of the ulna in the arm. The ligament endures great amounts of stress during overhand throwing to stabilize the elbow. Different variations of an ulnar collateral ligament can occur from minimal irritation to a complete tear. Symptoms for ulnar collateral ligament injury include direct pain over the area, inflammation, numbness and a popping sensation as well as a decreased ability to throw. The last of the most familiar of the 5 common causes for elbow pain are elbow fractures. The elbow joint sits directly under the skin without much protection from muscles or other soft tissues and can be more prone to easily break if an individual experiences a direct blow to the elbow or fall on the bent elbow. An indirect fracture of the elbow may also occur while landing on an outstretched arm with the elbow locked. 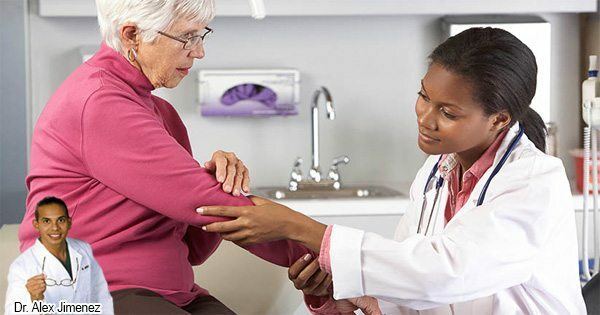 Symptoms of an elbow fracture include sudden, intense pain, inability to straighten the elbow, swelling and bruising, as well as numbness in the surrounding area of the elbow.